Oscar Wilde once said, “Most modern calendars mar the sweet simplicity of our lives by reminding us that each day that passes is the anniversary of some perfectly uninteresting event.” Well, Matt Groening is about to make your humdrum lives a little more exciting. 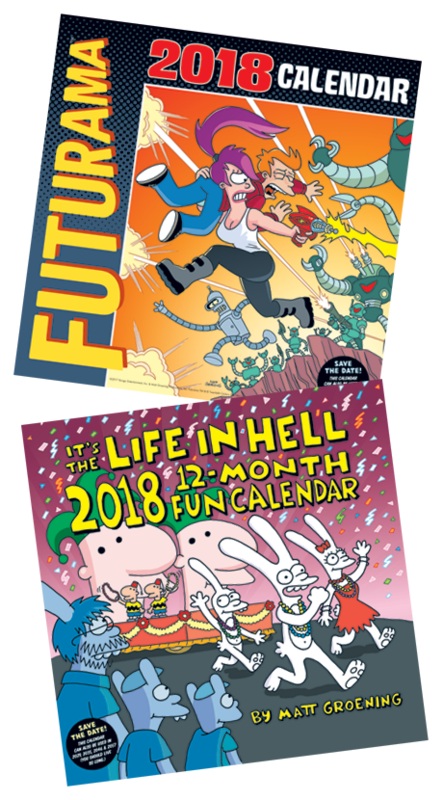 Resist the mundane and take a daily journey through the odd and unexpected with both the 2018 Futurama Wall Calendar and It’s the Life in Hell 2018 Calendar. On sale now from Amazon and at your local comic book store!